Did you know the most popular hot dog at The Dip is the Chili Dawg? Everyone loves that meat-on-meat combo! The Dip has upped the ante and put on two new variations of the Chili Dawg – one’s a lot spicier and the other one is topped with creamy slaw. 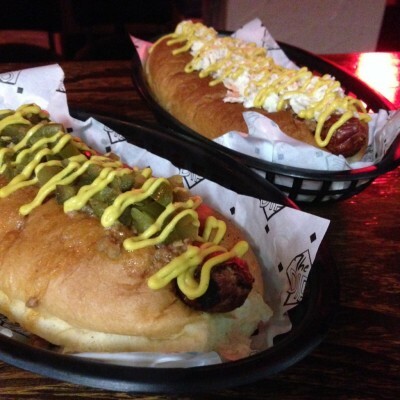 Come down this week for either a Mo Fire Chili Dawg, topped with chili, jalapenos, spicy ketchup and mustard or a Texas Chili Slaw Dawg, which has got texas style coleslaw on top of texas style chili! The best time to try these new dawgs is between 5 and 6 on Wednesday, Thursday and Friday for HOT DOG HAPPY HOUR – all our dawgs are half price!